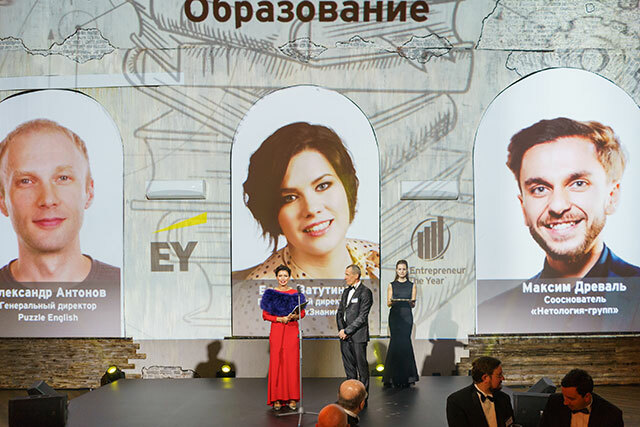 Moscow, November 21, 2018 — Moscow hosted the 2018 EY Entrepreneur of the Year® Russia awards ceremony. “69 entrepreneurs from 67 companies operating in 10 regions of Russia took part in this year’s competition. Together, they provide jobs for more than 39,000 Russian citizens, and their total income exceeds RUB 500 billion,” says Alexander Ivlev, Managing Partner of EY in the CIS, head of the Entrepreneur of the Year international programme. ТSergei Kolesnikov, co-founder, Managing Partner of TechnoNICOL corporation, and Igor Rybakov, co-founder, Managing Partner of TechnoNICOL corporation, who also won in the Industry category, received the title “Entrepreneur of the Year 2018”. In June 2019, they will be going to the international finals in Monte Carlo, Monaco, to represent Russia among the strongest representatives of business community from all over the world. At the awards ceremony, winners were announced in 10 categories and special prizes were awarded to the finalists selected by an independent jury, who assessed the contestants based on criteria such as entrepreneurial spirit, innovation, financial performance of the company, growth dynamics, industry leadership, corporate social responsibility, etc. “The Moscow School of Management SKOLKOVO has been a long-time partner of EY events aimed at promoting entrepreneurial initiatives. I am very proud that SKOLKOVO alumni traditionally are among the finalists and winners of the Entrepreneur of the Year international competition, during which leading Russian businessmen receive recognition for their contribution to the development of the national and global economy,” shared Andrei Sharonov, President of the Moscow School of Management SKOLKOVO. Dmitry Volkov, a graduate of EMBA-2 at the SKOLKOVO business school, co-founder of Social Discovery Ventures, was announced the winner in the Business Online category. Vladimir Chirakhov, General Director of Detsky Mir Group, a graduate of EMBA-6 at the SKOLKOVO business school, was awarded a special title—Business Expert. Yana Pryanikova, CEO and managing owner of Divo Altaya LLC, a SKOLKOVO business school Practicum-11 graduate, and Denis Yudchits, CEO of Online Doctor, a SKOLKOVO MBA-4 graduate were also among the finalists of the 2018 Entrepreneur of the Year competition. David Yakobashvili, member of the Bureau of the Board of the Russian Union of Industrialists and Entrepreneurs (RSPP). EY is a global leader in assurance, tax, transaction and advisory services. The Entrepreneur of the Year® Award is rightfully regarded the most prestigious international competition in the area of entrepreneurship.